Dropping by EasyParcel to book your domestic shipment today? Book in the new version EasyParcel V8! When you do, youll able to enjoy UNLIMITED Tracking SMS, for FREE instead! And something will definitely make you wow is this great deal open for all EasyParcel users without a minimum top up needed. All you need to do is just switch to their new version and book as usual. Before checkout, make sure to turn on the Tracking SMS feature to take advantage of this deal! Register to Get Free RM 25 or Explore More EasyParcel In New Version right now! This promotion is applicable for all EasyParcel users, starting from 5th September till 30th September 2018. 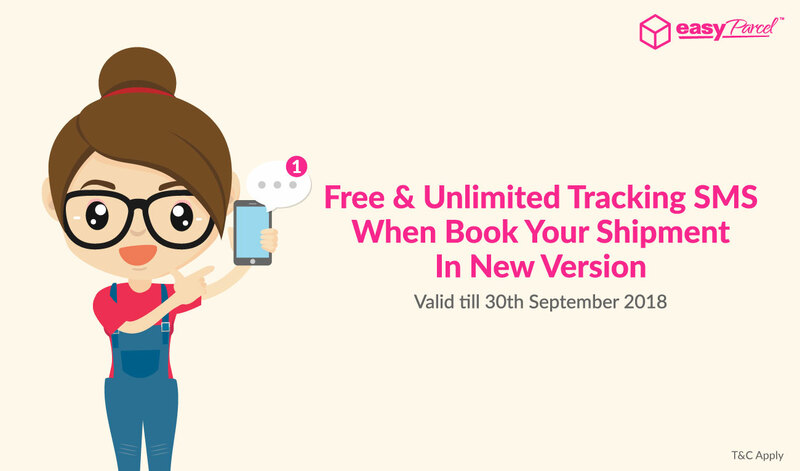 This promotion only applies to those domestic shipments book in the new version of EasyParcel.